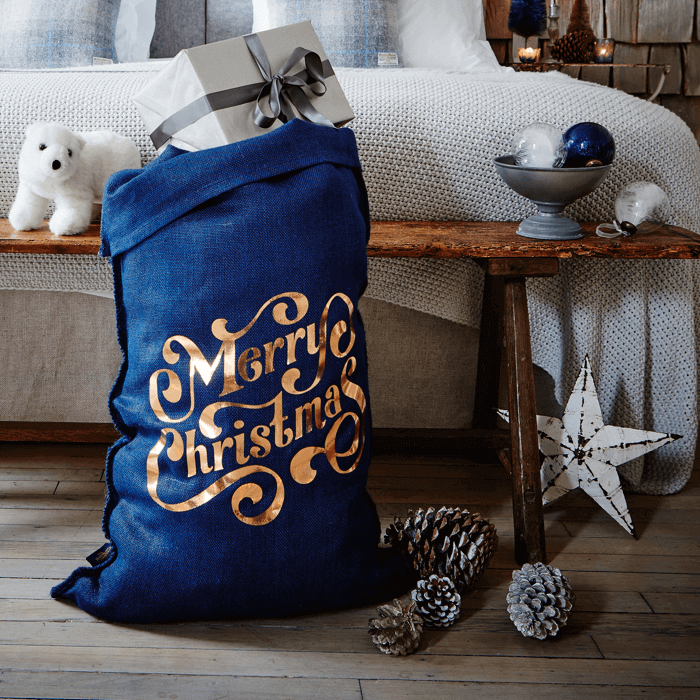 Make this Christmas a year to remember with our unique navy glitter hessian sack. The Merry Christmas message is written in a decorative serif type and printed in an eye-catching gold foil. Measuring 80 x 53cm and complimented with one metre of branded crimson satin ribbon to tie round the top of the sack. Hand finished in Great Britain.